Documents involves a public reading of the documentation that serves to authenticate or legitimize citizenship, adapted this time for a Canadian (and more specifically, Montreal) context. 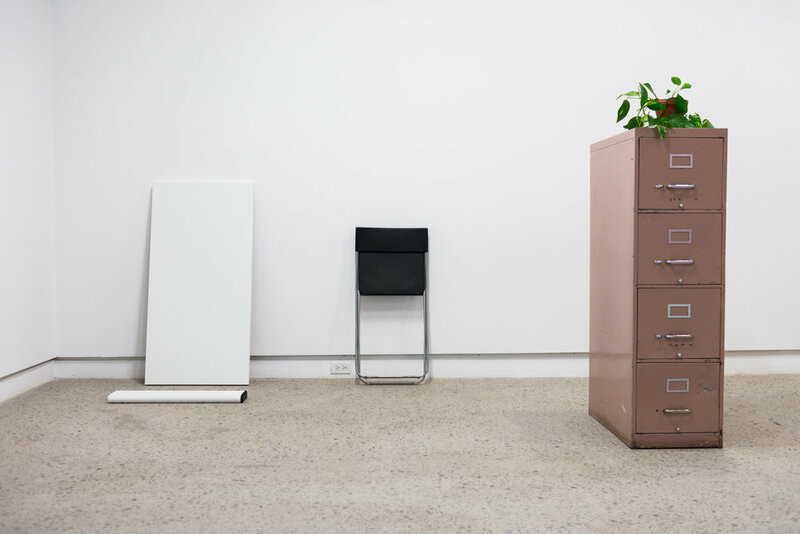 Central to this work is a filing cabinet that both holds the props required for the performance, while also serving as a portrait or trace of myself. Interactive reading of the documents in the files addresses the embodied specificities of race, class, and gender to contest whether these categories accurately reflect the bodies they are meant to represent – while underlining how different audiences and relationships to power may influence this reading. To remove the consumable body, to extend the performance labor, a private invitation was sent out, invite-only, to those who self-identify as persons of African descent and/or Black. I was interested in proactively choosing to present, via invitation, a rarity in the visual art world: an audience comprised of entirely POC or Black persons. The second, public performance is executed by whoever feels the authority to do so- using the same script.